New vehicle sales at 47 486 units show a decline of 2265 vehicles (-4.6%) compared to the 49 751 vehicles sold in November last year, reports Naamsa. Naamsa said: "Monthly export sales had continued to record modest gains in line with industry expectations. Work stoppages and unprocedural industrial action at various manufacturing plants would have impacted on industry production and export numbers." The November 2018 new car market, at 31 054 units, registered a decline of 1764 cars (-5.4%) compared to the 32 818 new cars sold in November last year. 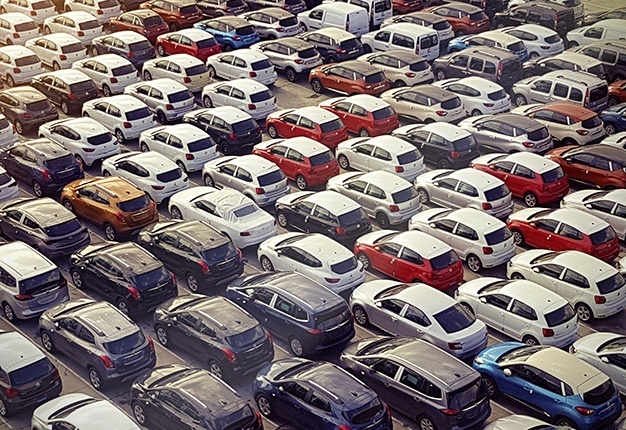 Naamsa said: "The car rental industry had once again made a substantial, above average contribution to the monthly car sales with an estimated 23.9% representing car rental purchases." The organisation reports: "November export vehicle sales had turned in another positive performance and at 34 352 vehicles had registered an improvement of 824 units or a modest gain of 2.5% compared to the 33 528 vehicles exported in October last year." Overall, out of the total reported Industry sales of 47 486 vehicles, an estimated 37 224 units or 78.4% represented dealer sales, an estimated 16.3% represented sales to the vehicle rental industry, 3.5% to government and 1.8% to industry corporate fleets. Sales of new Light Commercial Vehicles (LCV), bakkies and mini buses registered 13 695 units, a decline of 891 units (-6.1%) compared to the 14 586 LCVs sold during the corresponding month last year. Naamsa said: "The prevailing difficult economic environment was expected to continue over the medium term compounded by the recent surprising increase in interest rates and ongoing pressure on consumers’ disposable income. "In the circumstances, the best that could be anticipated was for the domestic new vehicle market to stabilise in coming months, however, any recovery was likely to be modest. Another encouraging feature was the broad based and substantial increase in the latest Purchasing Managers’ Index, the first increase since February, which suggested a possible improvement in general business conditions in about six months’ time. "Vehicle exports remain a function of the direction of the global economy which continues to reflect fairly robust growth despite rising protectionism and trade disputes. The momentum of export sales had improved over the past few months and, taking into account relatively strong order books reported by most vehicle exporters, exports should improve further and reflect strong growth in 2019 and subsequent years."